Howard Miller Seneca Falls Hide-A-Bar (P/N 690-006). 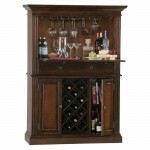 Finished in Americana Cherry on select hardwoods and veneer. 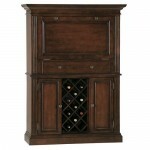 The Hide-A-Bar offers racking for 11 wine bottles and ample space for liquor storage, as well as a wooden stemware rack that keeps 10 wine glasses within convenient reach. 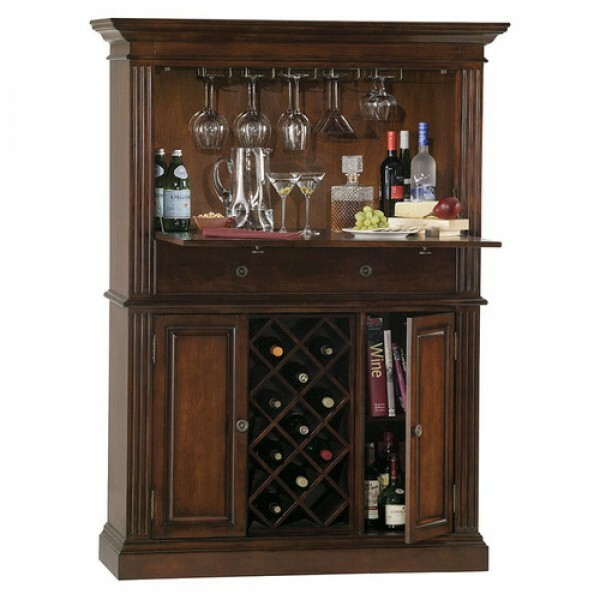 The drop-down wooden door features a moisture-resistant laminate surface that provides a handy shelf for serving food and cocktails. A large center drawer is constructed with quality dove-tailed construction and smooth running metal slides, providing storage space for bar cloths, utensils and other accessories. Inside the cabinet, a smart light turns "on" and "off" automatically when a door is opened and closed. The locking door provides added security. Seneca Falls Hide-A-Bar has adjustable levelers under each corner. 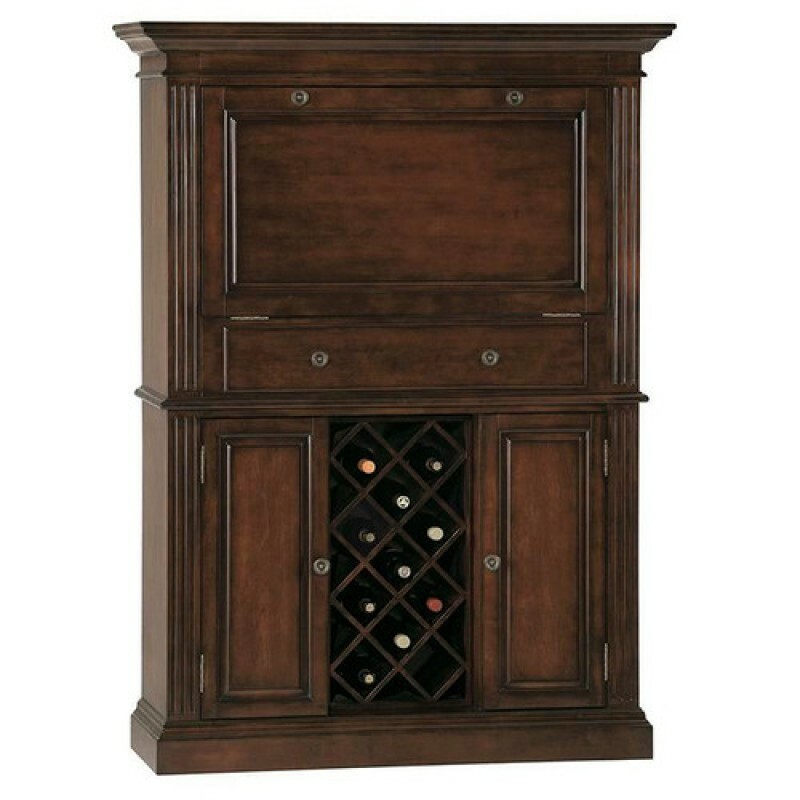 The classic Seneca Falls Hide-A-Bar features a drop-down wooden door that provides easy access to hidden drawers, racks and storage space.